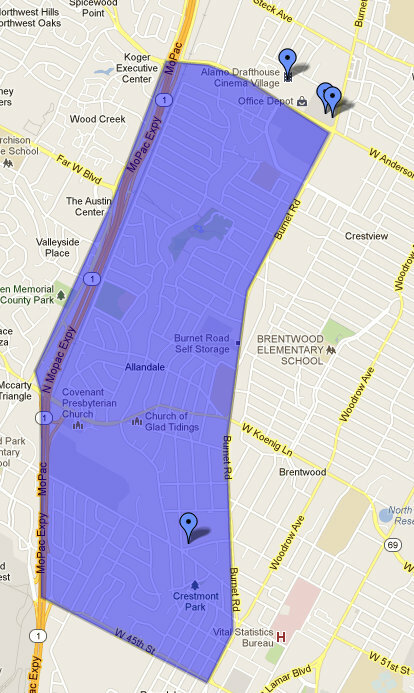 This month, we’ll be spotlighting the Allandale Neighborhood of Austin, Texas. Allandale is a charming North Austin neighborhood that is east of Mopac, west of Burnet Road, north of 45th street and south of West Anderson Lane. 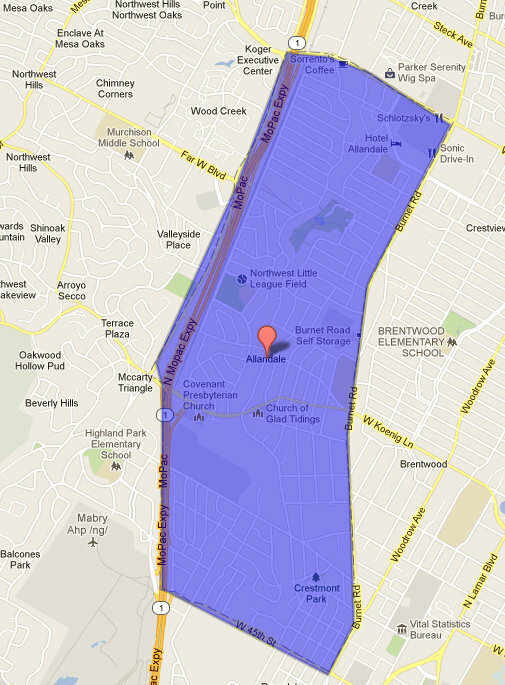 A mix of single family homes and apartments, this area is a tight-knit community with a lot of neighborhood pride. Rents for apartments in the area range from $821 for a one bedroom, one bathroom with 650 square feet to $1200 for a 2 bedroom, one bathroom 789 square foot condo. Prices depend on the age of the apartment community and amenities offered at the complex. The area is popular for its great schools, almost endless variety of restaurants, shopping and entertainment, and proximity to downtown and the suburbs. This neighborhood's convenient location puts you on 183, Mopac or North Lamar in minutes, ready to head into town or the burbs for work or play. Looking for a great apartment in the Allandale Neighborhood? Apartment Specialists can help with our knowledge of vacancies, move-in specials and amenities at all the best Allandale addresses. Give us a call at 512-241-1111 today! 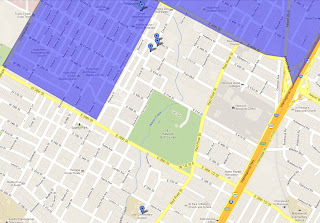 This month, we're spotlighting the Hyde Park Neighborhood of Austin, Texas. This week, we'll be taking a look at some of the apartments in this North Central Neighborhood. The Triangle Apartments and the Lofts at the Triangle Apartments have stained concrete floors, industrial undertones in the design, and washers and dryers included in all units. The community has retail shopping on premises, is close to the UT Shuttle, and is very pet friendly. The Lofts at the Triangle also have lofts and two story units available. Oak Park is on the UT Shuttle Route and has hardwood floors, ceramic tile, granite countertops, large walk-in closets and patios and balconies. There are ten floor plans so you can choose exactly what works for you, from a one bedroom efficiency to a 2 bedroom townhome. Laundry facilities are on site and the community allows pets up to forty pounds. Su Casa Apartments are also located conveniently on the UT Shuttle Route and offer reserved covered parking, a picnic and barbecue area, and on site recycling. The floorplans are large and spacious and have ceramic tile, wood floors, granite countertops and walk-in closets. 24 hour emergency maintenance is also offered. Andrews Place Apartments offers paid gas and water as well as good square footage. It is within walking distance of the University of Texas and is a small courtyard community that really gives residents a chance to get to know their neighbors. Looking for an apartment in Hyde Park? Apartment Specialists can help! Our knowledge of the amenities, vacancies and move-in specials available at the best Hyde Park addresses will save you time and money. Give us a call today at 512-241-1111. This month, we’re spotlighting the Hyde Park Neighborhood of Austin, Texas. 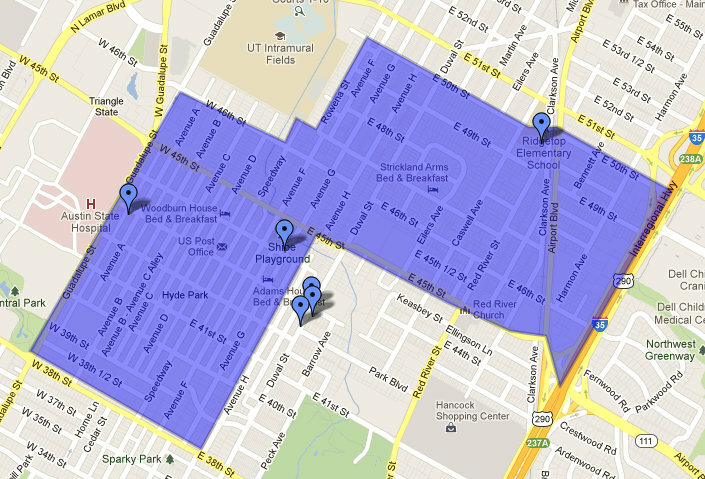 This week, we’ll be exploring the Schools and Employers in this North Central Austin Neighborhood. The Hyde Park Neighborhood is part of the Austin Independent School District. Its elementary school is Lee, its middle school is Kealing, and its High School is McCallum. Robert E. Lee Elementary has educating Hyde Park children since 1939. Its mascot is the Roadrunner and it is ranked Exemplary by the TEA. It is the only elementary school in the district with an auditorium large enough to fit all its students at one time, and accordingly, includes a Fine Arts focus with drama, music and dance performances for all students. Kealing Middle School is home to a rigorous magnet program in addition to a standard middle school curriculum. Their mascot is the Hornets and their colors are Crimson and Cream. Kealing serves nearly 1200 students in grades 6-8. The Triangle is located on the edge of Hyde Park and has many restaurants, including the Flying Saucer, a brew pup, and Galaxy Cafe, a locally owned restaurant serving unique American dishes and breakfast until four on weekends. These dining establishments provide job opportunities as hosts, wait staff, bartenders, and chefs. Seton Medical Center is also located adjacent to Hyde Park and is Austin’s largest medical/acute care center and the only hospital in Central Texas performing heart transplants. They employ doctors, nurses and administrators in large numbers. Looking for an apartment in Hyde Park? Call Apartment Specialists today at 512-241-1111 and we’ll help you navigate availability, move-in specials and amenities at Hyde Park apartments!